As you can see by my title, I am not entirely sure of the date of this photograph. Perhaps someone can help me out with that? 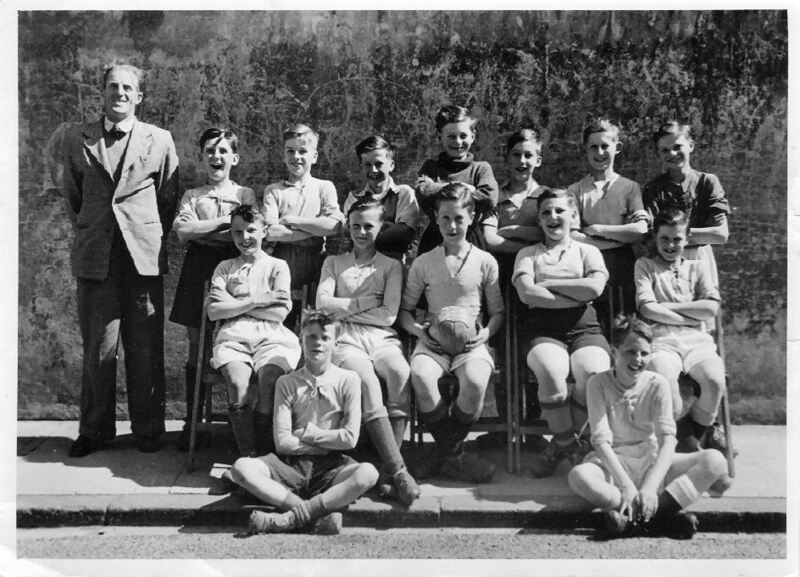 The football team were 11/12 year olds, and the master was Mr Hargreaves. Standing left to right – ?, Brian Eade, ? , ? , ? , David Taylor, ? Seated left to right – ?, ? , Johnny Saunders, ? Gold, ? I do hope that it might be possible to fill some or even all of these gaps. If you can help, please leave a comment below. Hi, the “Gold” in the seated row was Geoff Gold, a Jewish lad.